If you are considering relocating to San Diego you are definitely not alone. 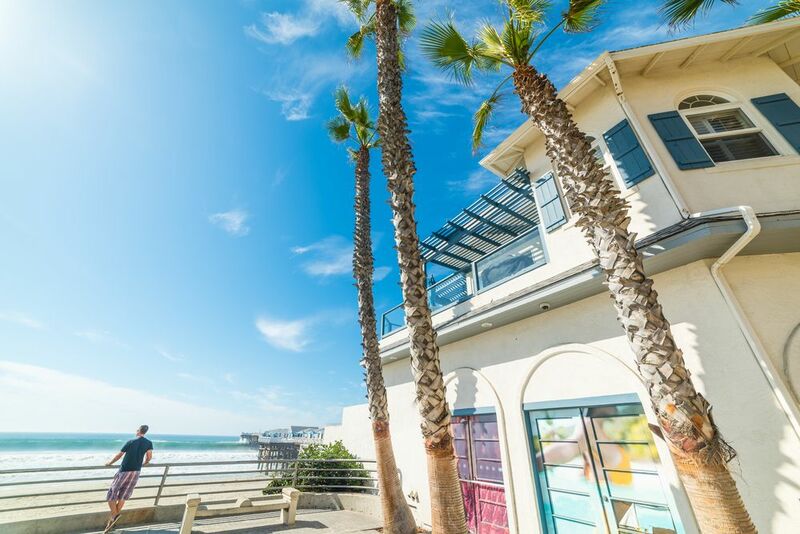 Regularly ranked among the best places to live in the United States, San Diego offers an enticing combination of fantastic weather, glorious beaches, a colorful blend of cultures and more amenities than you can shake a stick at. San Diego really does have something for everyone, which means that there is a neighborhood out there to suit your needs – you just have to find it. With everything from family-orientated communities to bustling urban villages, you will have plenty of choice when it comes to finding the right neighborhood to buy your home. To help you along, we have comprised this guide to some of the top neighborhoods to live in in San Diego. If you have a young family, or are planning one in the not-too-distant future, then choosing a neighborhood with good schools will undoubtedly be high on your priority list. Rancho Bernardo is included in the Poway Unified School District – one of the most popular in Southern California. The northernmost residential community within the City of San Diego, Rancho Bernardo is just 20 miles north of downtown San Diego meaning that the bright light of the city are just a short drive away. However, Rancho Barnardo itself is the epitome of suburban life, and is often labelled as one of the safest family-orientated communities in southern California. Property prices here reflect the desirability of the area, but most realtors agree that buying a home in Rancho Bernardo is a good investment, as they are predicted to continue to rise in value over the coming year. If you are looking for a neighborhood rich in cultural diversity, look no further than Normal Heights which boasts a colorful mix of Hispanic, Asian and African-American and other communities. The different ethnicities come together in the quirky coffee bars and restaurants around the neighborhood, which is known for a vibrant free-spirited environment. This neighborhood contains everything from single family dwellings to high-density, multi-resident apartment blocks meaning that there is a property here to suit every budget. If you are looking for a close, supportive community just a stone’s throw from downtown San Diego, then South Park, located just east of Balboa Park, should be on your list of neighborhoods to consider. South Park is a bike-friendly area and strongly in favor of supporting local businesses, which is ideal if you are bringing your trade with you when you relocate. With its beautiful tree-lined streets, compact blocks and Craftsman and Spanish Colonial Revival-style homes, South Park is predominantly a single-family residence area, but there are some small courts of bungalows and modest apartment blocks. Home here can be tough to come by due to the popularity and size of the community, but when they do come available, you can expect to pay a median price of around $425,000. Their desirability also helps them to retain their value. This beach neighborhood is located along six miles of stunning Pacific Ocean coastline and is roughly 25 miles north of downtown San Diego. It has recently been named among the best 20 surf towns in the world and is everything you imagine a Californian coastal town to be. However, it also has almost 30 miles of trails, perfect for cyclists, equestrians and running enthusiasts. Encinitas is also a good choice for those with families as the schools within the district have been recognized as California Distinguished Schools by the California Department of Education, with four also being named National Blue Ribbon Schools by the U.S. Department of Education. Homes in Encinitas are above average in terms of cost, with the median home sale price in the region of $620,000. However, they do hold their value thanks to the popularity of the area, as demand is high. These are just some of the top neighborhoods to buy a house in San Diego. Contact our realtor and he will be able to give you more information and help you find the perfect neighborhood for your lifestyle.